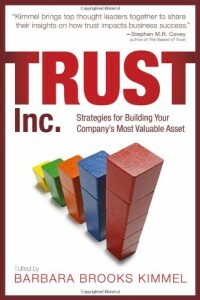 The Trust Tips are concise, practical, and free. They’re published every Monday through Friday, providing easy-to-implement ways to increase your trustworthiness and build better relationships. Find snippets of insight on Twitter by using the hashtag, a.k.a. pound sign, followed by TrustTip, like this: #TrustTip. Or go straight to the source by finding us on Twitter at @AndreaPHowe and @CharlesHGreen. We’ve had some good discussions on Twitter and would love to hear from you. We also keep a running tab of all the Trust Tips right here on our site. #TrustTip 89: Extend yourself—e.g. invite your client to meet you outside of work, share a meal. #TrustTip 88: Be yourself. Everyone else is already taken. #TrustTip 87: Find out how your project team defines success & how you can help them achieve it. #TrustTip 86: Don’t jump to problem-solving–slow yourself down by counting, taking notes, vocalizing expectations. #TrustTip 85: Humility isn’t thinking less of yourself; it’s thinking of yourself less. Be humble. #TrustTip 84: Being right is vastly over-rated; we don’t care if you’re right unless you’ve first heard us. #TrustTip 83: Be self-deprecating, it is a form of graciousness. #TrustTip 82: Confront issues as they arise—being preoccupied w/ them keeps your attention on your own preoccupation. #TrustTip 81: Answer direct questions with direct answers. #TrustTip 89: Extend yourself—e.g. invite your client to meet you outside of work, share a meal. A lot of people confuse intimacy in business relationships with being social, when they’re not the same thing. This tip is less about the meal and more about expanding the scope of your relationship beyond typical professional boundaries. It’s easier for someone to trust you when they can relate to you. Let others in. Talk about something other than what’s on the work agenda. Be a person, not just a pro. Jim Peterson (@rebalancejim) had an interesting take on this Trust Tip. His suggestion: “Do better–invite your adversary.” There’s a boundary-breaking idea! #TrustTip 88: Be yourself. Everyone else is already taken. 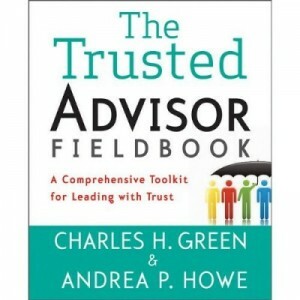 I borrowed this from a heading in Charlie’s second book, Trust-Based Selling. It’s one of my very favorite lines. Often we mistake being trustworthy with being perfect, or with doing and getting things right most of the time. While it’s certainly important to be competent for people to trust you, it’s equally if not more important to be trustworthy by being authentic. I know I’m more likely to trust someone who’s genuinely flawed—with the confidence and humility to admit it—than someone who comes across as faultless, or who tries too hard. Consider the business value of integrity—being who you claim to be at all times to all people. #TrustTip 84: Being right is vastly over-rated; we don’t care if you’re right unless you’ve first heard us. Trust and influence go hand-in-hand. The more someone trusts you, the more likely he is to be influenced by you. In the business of advice-giving, it is not enough to be right—you have to earn the right to be right. The key to getting your advice taken has little to do with the content of the advice you give and everything to do with the context of how you listen to others. Fundamentally, you earn the right to be right by listening first. The act of listening itself creates relationship and trust. That’s my take, anyway. What’s yours? Share the wealth; tell others about #TrustTip—new tips posted every weekday at 8:30AM, every week until book publication.